We find meaning in pattern, by creating bespoke designs with personality and soul to strengthen brand identity. We bring a strong sense of artistry and craftsmanship, combining traditional and modern skills to create production ready artworks. We have a passion for integrating inspiration from nature and culture around us. We stay connected to the industry, being trend conscious with a desire to create a more sustainable, positive environment for our future industry. In today’s industry, sourcing vintage is an exciting process of design development. By taking inspiration or reworking a vintage piece, we can give printed textiles or wallpaper a new lease of life. We offer a service of redrawing, altering, colouring and creating repeat layouts through CAD. Whether it be an all-over pattern design for a dress or an illustration for homewares. We encourage an open dialogue with our clients to get what they desire. We specialise in repeat work, offering CAD files suitable for production level and advice on product development with over a decade of experience in the industry. This year you’ll be able to purchase designs directly from our exclusive new shop, with password access for client privacy. We incorporate trend forecasting and things we love to create our bespoke designs. Included within the service is the full license to use the design worldwide for unlimited print production. The artworks are supplied as layered CAD files for your own modification needs. Alternatively, we can supplement an alteration fee to create new colourways, rescaling and spacing. "She has a personal touch and handwriting that has given us a competitive advantage." 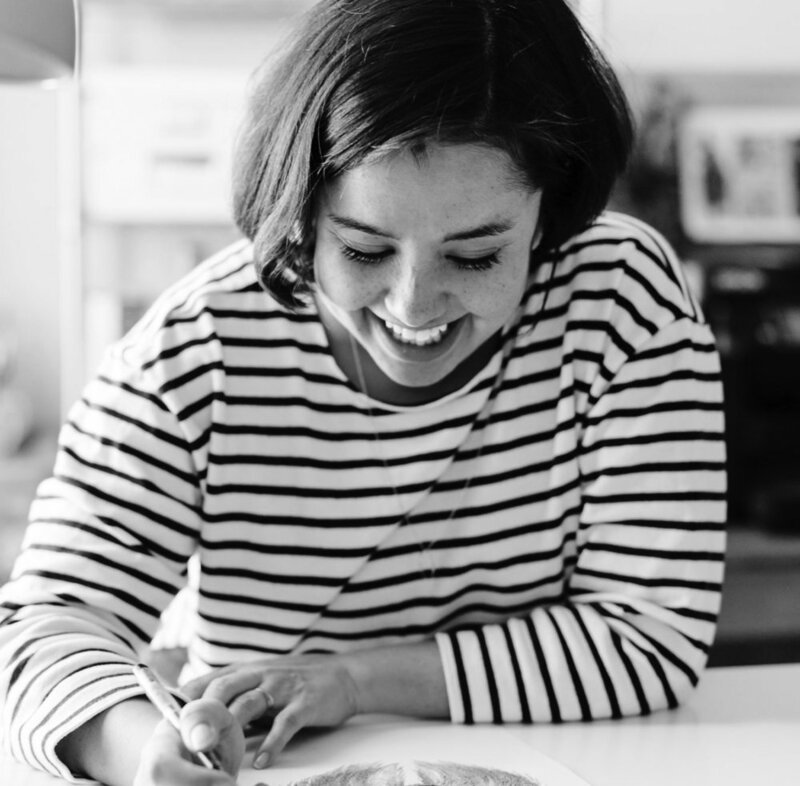 After more than a decade working in textile design for a variety of fashion brands in the USA and Scandinavia, textile print designer and illustrator Stephanie Le Cocq launched her independent UK based print design studio in 2015. The studio offers a unique and friendly service of working directly with clients to create bespoke designs. Clients include The Varner Group; Bik Bok, Carlings, Volt and Days Like This, H&M, American Eagle Outfitters, FWSS, Iben Official, Alexandra Wood Bespoke and Fair & Square.